As a great way to celebrate the end of the semester, the Lindsey Elementary School PTO sponsored a “Donuts at Dawn” event for families. 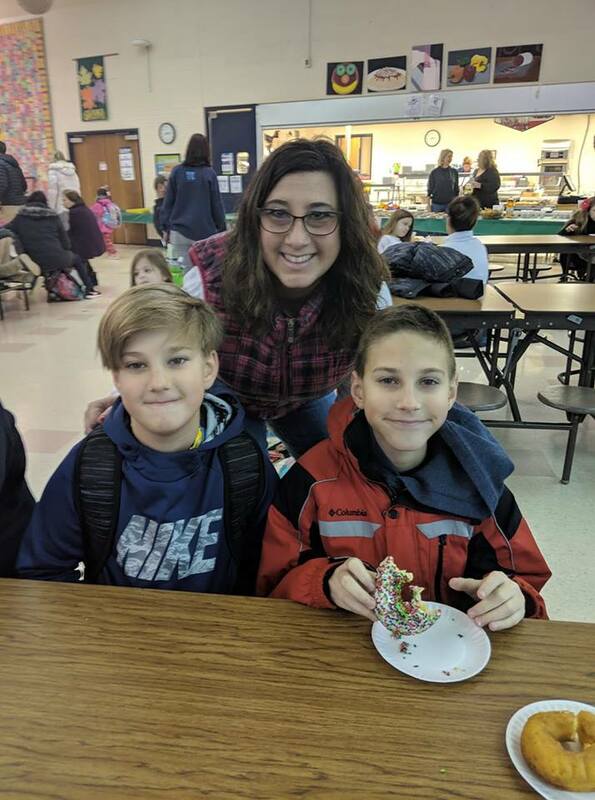 Parents were invited to bring their students to school and spend some time in the building enjoying Patterson Fruit Farm donuts before the start of the school day. Pictured: Lindsey Parent, Erika Zebrowksi, sons Zak and Jake.